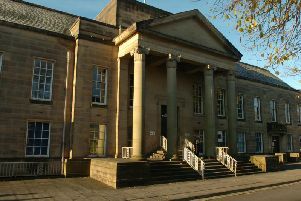 A 50-year-old Barnoldswick man has been cleared of historical sexual allegations, after a trial at Burnley Crown Court. Steven Agg had denied charges of indecent assault on a girl and gross indecency with a girl. The offences were alleged to have been committed some years ago in the Pendle area. Agg, of Railway Street, Barnoldswick, was found not guilty of the charges by the jury. He was discharged from the dock by Judge Andrew Woolman.